New Way to Beat Summer Boredom! Bored of all your usual Summer activities? 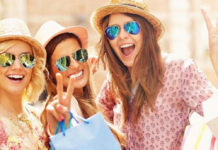 Trying to find a new exciting hobby that brings together having fun, staying active and hanging out with friends? Visit Chicken N Pickle, a new outdoor/Indoor entertainment venue and restaurant concept in North Kansas City. 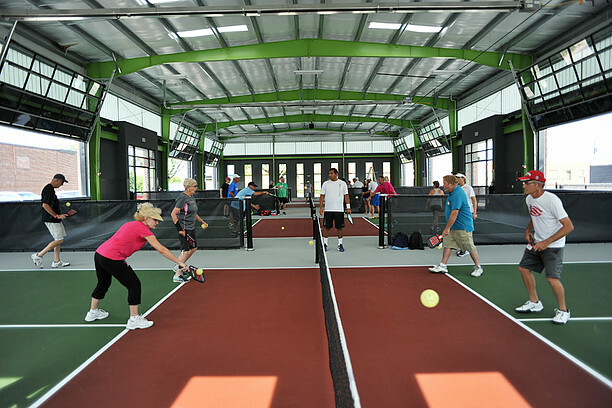 Located at the corner 18th and Burlington, this sprawling complex is a brand new concept to Kansas City- Pickle ball courts, beer garden, lawn games, sports bar, and restaurant rolled into one. There are four indoor and four outdoor pickle ball courts and this is the main attraction. 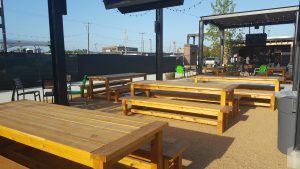 Surrounding the courts, patrons find themselves in a comfortable beer garden that sports big screen TVs for watching your favorite local game, a yard for lawn games and sits closely to the 6,000 sq. ft restaurant that is set to open in November 2016. This is where the “Chicken” in the name comes in- the restaurant will feature fresh, wood fired healthy rotisserie chicken as a main dish as well as healthy salads and side items. 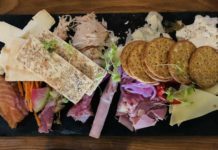 Different rubs for the chicken will be available to choose from and this fast-casual restaurant will be a perfect addition to a game of pickle ball! 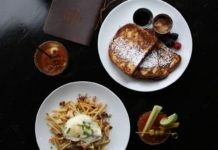 Bill Crooks, formally of local PB&J Restaurants Inc in KC will be in charge of the restaurant that will also feature a roof-top bar and 30 televisions to catch a KC game! So what’s Pickle Ball? Pickle Ball is a racket sport that combines elements of badminton, tennis, and table tennis. Two, three, or four players use solid paddles made of wood to hit a perforated ball, similar to a wiffle ball, over a net. When I visited Chicken N Pickle, the first thing I was struck by was the amount of people that were there playing pickle ball on a 100 degree evening. It was a Tuesday night, and the ladies’ league was in full swing. Kellen Mumm, Manager and part of the creative team behind the concept of Chicken N Pickle, was running the tournament that night and explained that he had been playing pickle ball since high school and wanted to bring this great activity to the growing area of North Kansas City. Kellen, and General Manager Bill Koning both shared that there is a feel of community with the players, old and new and that it is definitely growing fast. Don’t know how to play? Chicken N Pickle offers several clinics throughout the year and has a certiﬁed International Pickle ball Teaching Professional Association (IPTPA) instructor/ teaching pro on staff, Andy Gensch. Andy is a two time USAPA Nationals Medalist winning Bronze in 2014 in Mixed Doubles 50+ and a Silver in the 2015 Men’s Doubles 50+ He offers lessons and clinics at the complex. Kellen and Bill have fun aspirations for the venue. Special events are on the calendar as well as tournaments and clinics. Plans are in the works for the restaurant, but in the meantime, “The Shack” offers delicious sandwiches and drinks in the beer garden. This weekend and in the future, food trucks will be on hand as well to add to the tasty treats after a quick game. Plenty of shaded outdoor seating in view of a pickle ball game or television is available if you are just in the mood to watch. 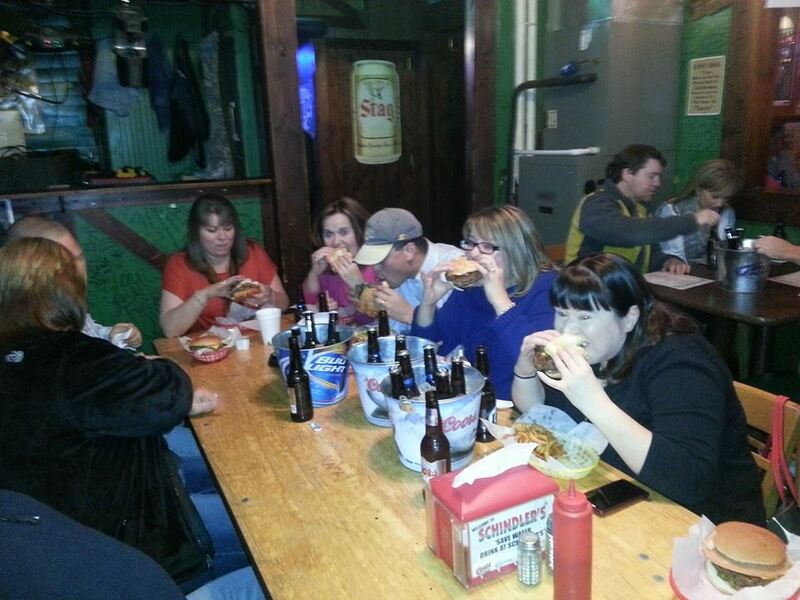 Chicken N Pickle is open everyday from 8-10 or 11 and can be booked for special events. This is a place you can enjoy with your family and friends. So give it a shot- pick up a paddle and make your way to Chicken N Pickle! 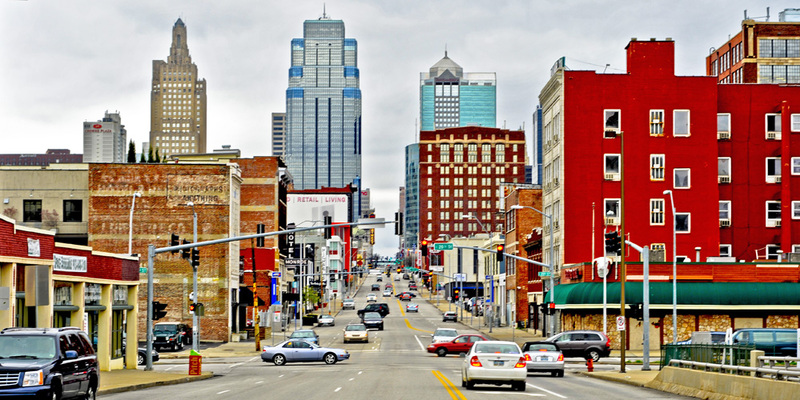 It truly is one-of-a-kind and can only be found in Kansas City! 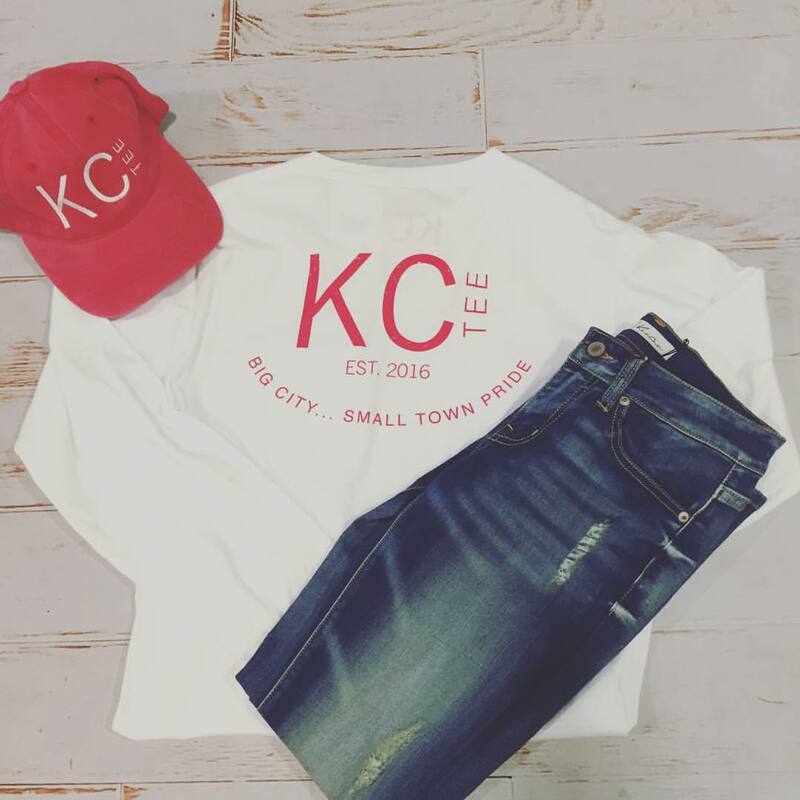 Next articleKC Local Week is Back!